A cinch bag is perfect for little ones and their tiny hands and a great help for egg hunting. They quickly close and can be slung around the arm to be hands free. Hold a lot of stuff inside too, great for all those bulky Easter Bunny eggs and treats. 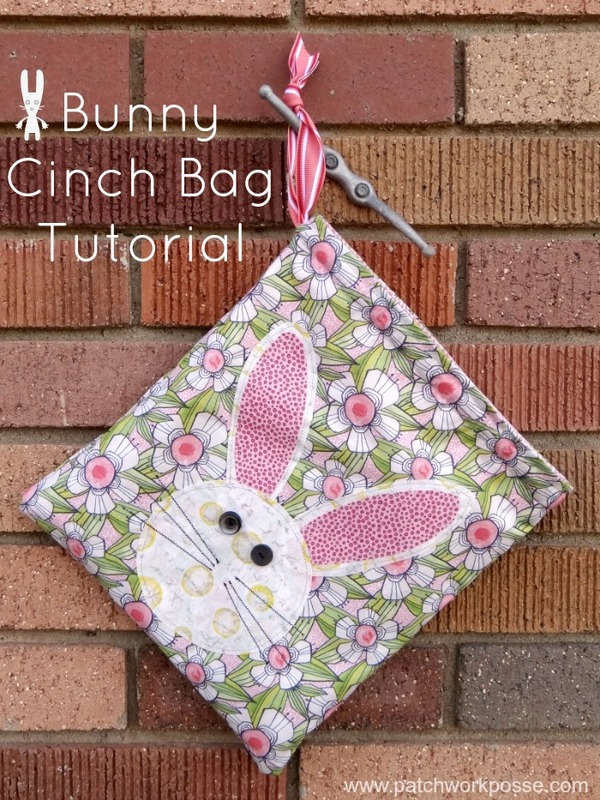 Print off the applique (there is more to choose from than the bunny) and stitch it to the front of the cinch bag. Super simple bag and great for hauling around all those Easter eggs. Hands free hunting!